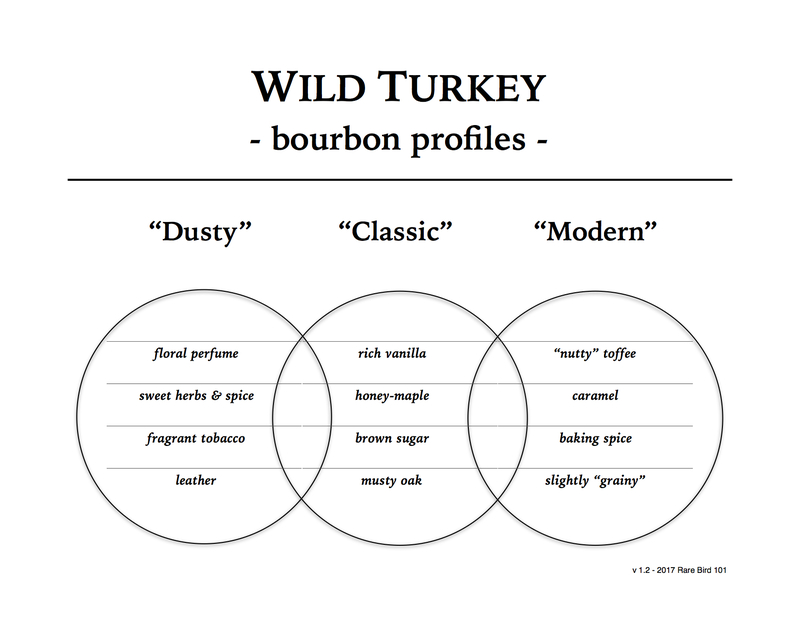 I’ll admit, my experience with Wild Turkey 80-proof (and 81-proof) bourbon is extremely limited. It’s just not something I actively seek out or shop for, and doubt many whiskey enthusiasts do. That said, wave a bottle of dusty Wild Turkey in front of me (regardless of proof) and I’m game! There’s honestly not a whole lot to be said going into this review. It is what it is – Wild Turkey KSBW at 80 proof – more commonly known as the “brown label” bottle. Being a big fan of 1991 WT 101 8-year, and 90’s Wild Turkey in general, I’m curious to see how the profiles compare. With the 80-proof WT having no age statement, this could very well be a completely different bourbon altogether. But enough jib-jab – on with the tasting! Overall: Not bad at all. While not as rich, bold, or complex as ’91 Wild Turkey 101/8, there’s enough going on here to make it a surprisingly enjoyable pour. The highlight of this whiskey is the nose – plenty of dusty and classic Wild Turkey notes to keep you smiling there. But by the time this bourbon hits your mouth, you quickly realize that dilution has taken its toll. You’re then left with primarily core bourbon notes (vanilla, oak, spice) and very few and faint supporting notes. As for the finish – well, it’s longer than I expected. Not much warmth, but enough flavor to keep it lingering long enough to notice the classic “Wild Turkey funk” and some slight herbal/floral notes. Again, not bad, but not entirely fantastic either. If something comparable to this profile were produced and bottled today (no dusty really is), then I might buy on occasion for easy sipping. Other than that, old 80-proof Wild Turkey “brown label” bourbon is really nothing to spend a lot of time or money hunting down. At the end of the day, this one gets a 3.5/5. The nose alone might jump this one to 4/5 (love those dusty notes), but the taste and finish just can’t toe the line. It is by design a lightweight whiskey, and that’s exactly why WT 101 has remained the brand flagship all these years.